Treats and Praise. Positive training is the process of using positive reinforcement and repetition in order to teach dogs commands and behaviors through muscle memory. With this process we can teach a dog a command structure, how to respond to certain stimuli, or even how to ask us for help. Everything a dog does is on a priority system. Using positive training to push good actions to the top of the list is always preferred to using negativity to push bad ones to the bottom. Correct timing is essential when using positive reinforcement. The marker and reward must occur rapidly—within seconds—or your pet may not associate it with the proper action. For example, if you have your dog sit but reward him after he's stood back up, he'll think he's being rewarded for standing up. 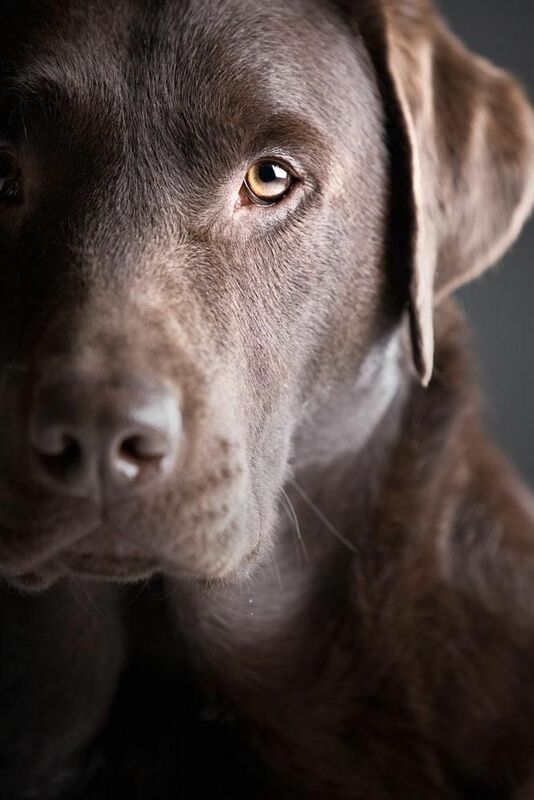 Using a word like "yes" to mark the correct behavior can improve your timing and also help your dog understand the connection between the correct behavior and the treat. Dogs don't speak English. "(Dog's name), I want you to be a good girl and sit for me now" will likely earn you a blank stare. This first step to good dog training is understanding that attaching a word to a command is your reward for good training, not the starting point. Because of this, my first and most important rule is "NEVER repeat a verbal command". As humans, we expect repetition and language to be our tools for learning. For a dog, it's body language and muscle memory reinforcement. In order to access that language center of the brain, we need to be clear, concise, consistent, and patient. Positive reinforcement can include food treats, praise, petting, or a favorite toy or game. Since most dogs are highly food-motivated, food treats work especially well for training. A treat should be enticing and irresistible to your pet. Experiment a bit to see which treats work best for your pet. It should be a very small (pea-size or even smaller for little dogs), soft piece of food, so that he will immediately gulp it down and look to you for more. Don't give your dog something he has to chew or that breaks into bits and falls on the floor. Keep a variety of treats handy so your dog won't become bored getting the same treat every time. You can carry the treats in a pocket or fanny pack. Each time you use a food reward, you should couple it with a verbal reward (praise). Say something like, "Yes!" or "Good dog," in a positive, happy tone of voice. Then give your dog a treat. If your dog isn't as motivated by food treats, a toy, petting, or brief play can be very effective rewards. Why is Breed Specific Important? Each breed of dog has an extremely strong and lifelong effect on a dogs behavior. Understanding and working with a dog's breed will help an owner achieve great success, while fighting against it will only lead to constant frustration. Below you will find a brief introduction to the breed specific school of thought. All breeds are separated into seven main categories. Each group has common behaviors, as well as each individual breed. The Terrier, as it's name might imply, is a territorial dog. Terriers are known for their strong attachment to humans while having a less than friendly disposition towards strange dogs and animals. One of three groups that might be considered a "Velcro-dog" (constantly wanting to stay by your side). Terriers are an ideal breed for someone seeking a lot of attention from their pet. Ever anxious, the terrier notices change quickly and will react, often with barks or growls to anything out of the ordinary. This could be new furniture, strange animals, or sounds. Terriers are easy to train because of their constant focus on their owner, but taking extra steps to teach them barking control and friendliness is highly recommended. Pitbulls, one of the largest terriers, is commonly mistaken for a bully breed. The sporting dog, or as I like to call it, the teamwork dog, is an easily trainable and exuberant group. Extremely popular breeds such as the Golden Retriever, Labrador, and nearly every spaniel falls into this group. Sporting dogs are commonly friendly to everyone and everything, to a fault sometimes. Be careful that your sporting dog doesn't try to make friends with a fearful or aggressive dog! It takes one attack to turn this breed quite timid. Sporting dogs are used for bird hunting, service training, family companionship. They like to have a job, but don't necessarily need one to be well adjusted. They also are commonly Velcro dogs. Hounds come in several varieties. The two most common being sight-hounds (Greyhounds, Borzoi, Deerhound) and scent-hounds (Coonhound, Bloodhound, Beagle). Hounds are known for their quiet and manageable behavior indoors, and their wild excitement outdoors. Friendliness in hounds varies from breed to breed, but essentially they are known for their independence and curiosity. Many hound owners prefer them for their quiet indoor temperaments, but while hounds start out closer to the more manageable side, they are known for being difficult to train. This might be considered the mixed bag group of the AKC list. Non-sporting includes a variety of breeds that come from different roots. Many ancient breeds (dogs not affected by the last 200 years of Eugenics) exist in this category, as well as some breeds that have been augmented from the initial purpose to become something unique. The Standard Poodle, for example, exists here due to its intelligence and uncharacteristic appearance, but in reality a poodle is a just a very smart version of a water retriever. Any non-sporting dog should be considered very unique and be trained on a breed by breed basis. Famous working breeds include Boxers, Rottweilers, and Dobermans. Often demonized as the most aggressive type of dog, working breeds are actually capable of extreme friendliness. The usage of these dogs as a guard dog comes from their ability to tell individuals apart. Working breeds can remember people after just one visit. This ability makes their aversion to strangers much more intense. Anyone seeking a working breed for recreational use should socialize it immediately. The ability to tell individuals apart, and subsequently the beginning of fear aggression or anti-social behavior, can start as early as 5 months. The most independent type of dog is the Herding dog. Comprised of Shepherds, Collies, and Cattle dogs, the herding group is known for their need to work. You may often find your herding dog upset if everyone isn't in the same room, or maybe they prefer to be outside, constantly scanning the perimeter of your property, barking at strangers as they walk by. That's because you are the herd, and your home is the field. Many owners end up fighting against the herding instinct because it can lead to constant barking or anti-social behavior. It is important with these breeds to teach boundaries and set up parameters for their job. The relationship will be much better if you become the Shepherd instead of a sheep. Purse puppies, as they are commonly called, are the hand-held companions of the dog world. Often disliked as unfriendly or yappy, toy dogs are actually misunderstood quite commonly. Some toys are terriers, hounds, or sporting types. other toys like the pug are extremely unique. Many of these tiny dogs were popularized as a woman's companion, they would bark and alert standers by that a woman's personal space was being invaded, in a time where asking a man to leave you alone might be considered indecent. Many issues with toy breeds come from lack of socialization and coddling. In order to make these little warriors more friendly, you must simply share them with others by passing them around from lap to lap at a young age. Everyday, students and scientists are exploring the way dogs and other animals think. This information is extremely useful when training, because understanding why a dog acts a certain way allows our correction to stem from the cause, instead of the symptom. This field includes understanding how dog memory works, what emotions and social ques dogs share and don't share with humans, how dogs organize their pack and view other people and animals, and finally, how to properly communicate with your dog. In order to illustrate this school of thought, I will answer two commonly asked questions with information provided by dog psychology. Why does my dog chew my shoes, socks, and other personal belongings? Many people view this action as a form of revenge or retaliatory behavior, but in truth the destruction of your items can result from a few reasons. The first question you need to ask is: "does it smell like me?" If it's shoes and socks, the answer is yes. This type of destruction can be attributed to affection or separation anxiety. The dog's desire to find you or be close to you leads them to an object covered in your scent. The oral fixation is simply a self-comforting behavior. I have seen dogs steal smelly items and collect them in a nest, or chew apart their favorite owner's belongings specifically. You can solve this issue by smell imprinting toys (by leaving them in your hamper overnight) and placing them in easy to reach places. Hide your shoes for a few weeks and notice your dog's focus move to the toy. I sit outside with my dog for so long, he won't go potty. I come inside and 30 seconds later he pees, why? This problem is so common it's hard to believe. Also, the smaller the dog the worse it seems to be, but not for the reason you may expect. Many shelter dogs have this issue, and it's probably the main reason they were abandoned in the first place. So if your dog does this, it could very well not be your fault. This issue of indoor or secret elimination comes from scolding. Owners who scold their dog and "rub their nose in it", spank, yell, or even just radiate an aura of anger are trying to teach their dog, "If you potty in the house I'm going to be upset." Unfortunately, what comes across is, "If you potty in front of me I'm going to be upset." This entices your dog to potty in private, hidden places. It only takes a few seconds for a dog to forget that the puddle of urine they made belongs to them, so getting angry after the fact only confuses your dog and causes them to fear you. Understanding the difference of inside and outside, especially for a small dog is extremely difficult. it is important to know that dogs can read body language very well, so if you cannot control your emotions regarding this issue, it will last forever. Simply give your dog more privacy outside, by turning your back. Monitor how often your dog eliminates so that you can be with them whenever they are in the danger zone. If they are only alone outside they will eventually begin to trust again allowing you to re-potty train them correctly.